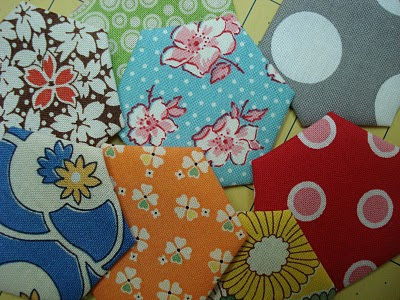 We’re head-over-heels for hexagons here at WeAllSew! We’ve found tons of terrific tutorials and inspirational project all over the web, and today we’re sharing a few of our top favorites with you. Are you caught up in the hexagon hysteria too? What are some of your favorite hexagon projects? Learn how to draw perfect hexagons of all sizes for any craft project with this tutorial from CraftPassion.com. 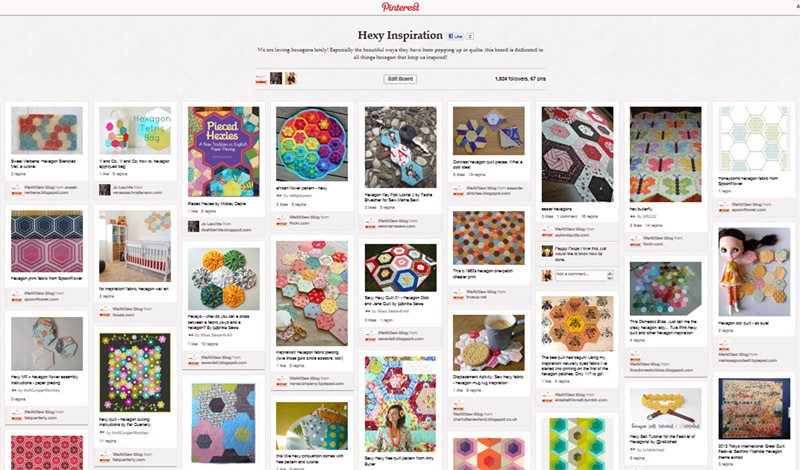 (And there’s also a link to a simple hexagon paper piecing project on page 2 of the tutorial, bonus!) There’s no stopping you from dreaming up your own hexy project once you can create your custom-sized hexagon! 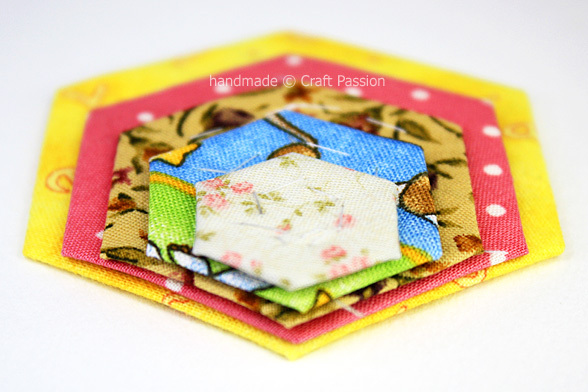 Lori Holt’s Hexie Paper Piecing Tutorial at Bee In My Bonnet is one of our favorites. She gives some great tips for basting up your hexies! Scroll all the way to the bottom of the post and follow the link to the next part of her tutorial, how to sew your hexies into pretty flowers. 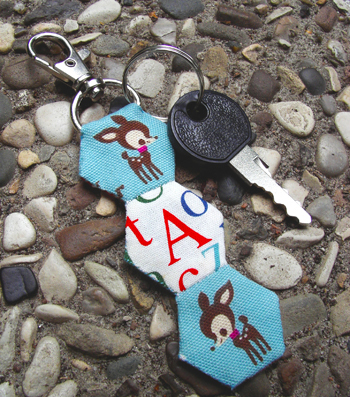 Once you’ve got the hang of making paper-pieced hexagons you’ll be ready to stitch up one of these charming Hexagon Key Fobs with Tacha Bruecher’s tutorial posted at Sew, Mama, Sew! Who says hexagons have to be small to be cute? 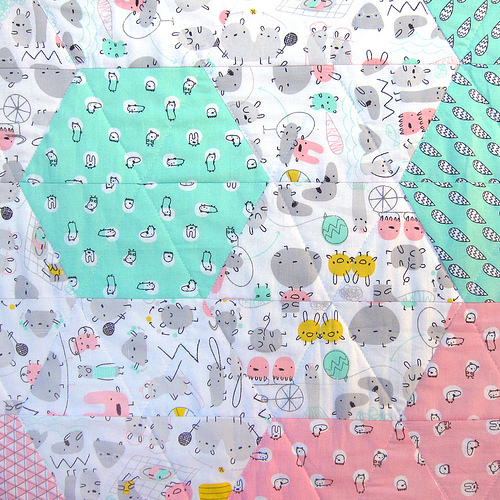 Check out Cloud 9 Fabrics tutorial for a Monsterz-Sized Hexagon Baby Quilt tutorial. Follow the instructions for creating the giant flower pattern, or mix and match hexagons to make your own custom hexagon baby quilt! Looking for a larger quilt or cover than baby-sized? We love Mary Pepper’s free Big On Tradition hexagon quilt pattern posted at AllPeopleQuilt.com. 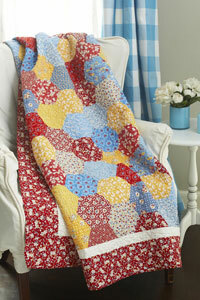 This pattern has a clever twist to creating hexagon shapes in the quilt!